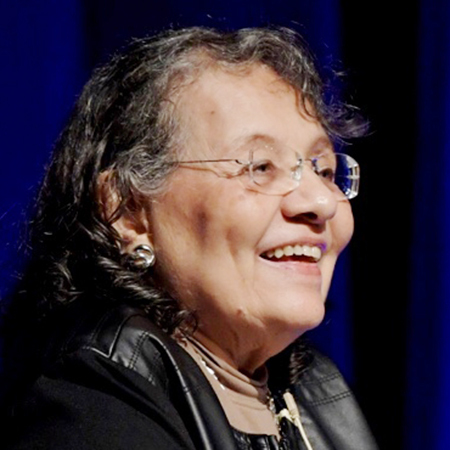 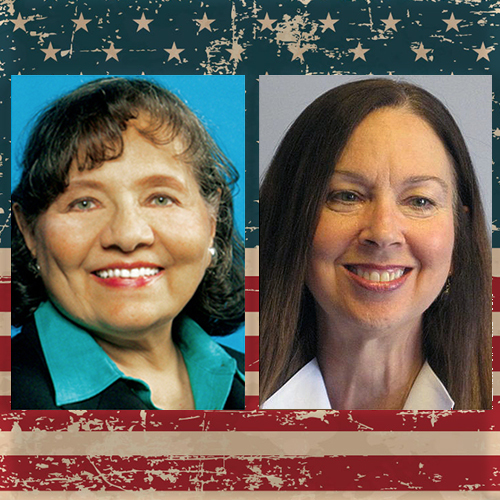 Five eminent jurists illuminated the foundation of our nation’s laws and the role of judges in interpreting those laws as part of MTSU’s 2017 Constitution..
Diane Nash is using her history-changing work for civil rights to advise and encourage those today who want to help America ensure freedom and justice..
Producer/Host: Gina Logue Guests: Diane Nash and Dr. Mary Evins Synopsis: Civil rights veteran Diane Nash, a speaker at MTSU’s 2016 Constitution Day ceremonies, and..
Blues-rock icon Tracy Nelson, whose soulful, powerful voice lends extra gravitas to the music of her four-decade career, will perform songs of freedom at MTSU..
A pivotal figure in civil rights progress in Middle Tennessee shared her legacy on a recent “MTSU On the Record” radio program in advance of her Constitution Day..
A new audience awaits an audio encore of last month’s Constitution Day celebration on the “MTSU On the Record” radio program. 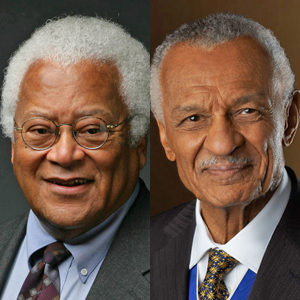 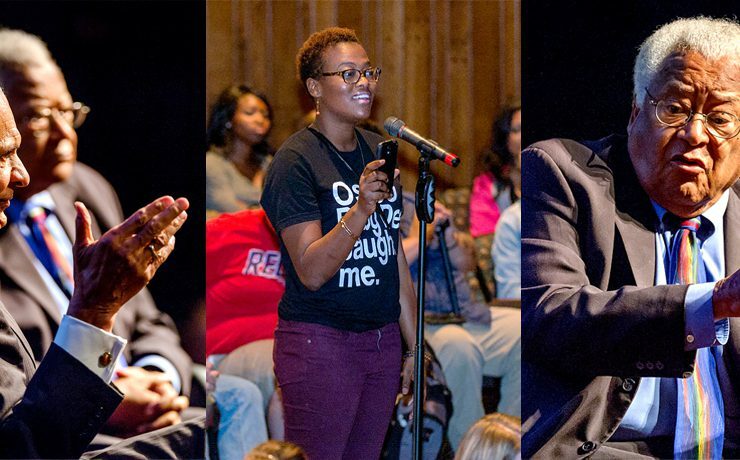 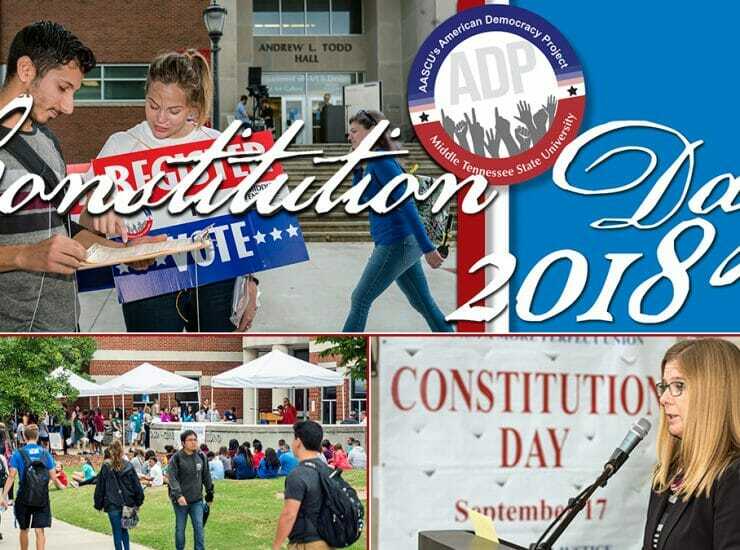 Host Gina Logue will..
Two of the founding fathers of the modern civil rights movement capped off Constitution Day festivities at MTSU with lessons from the past for the.. 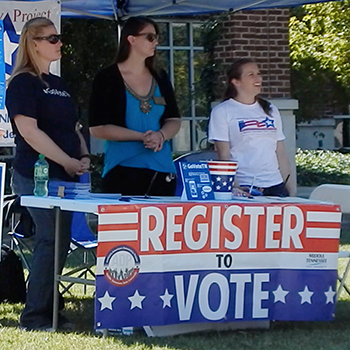 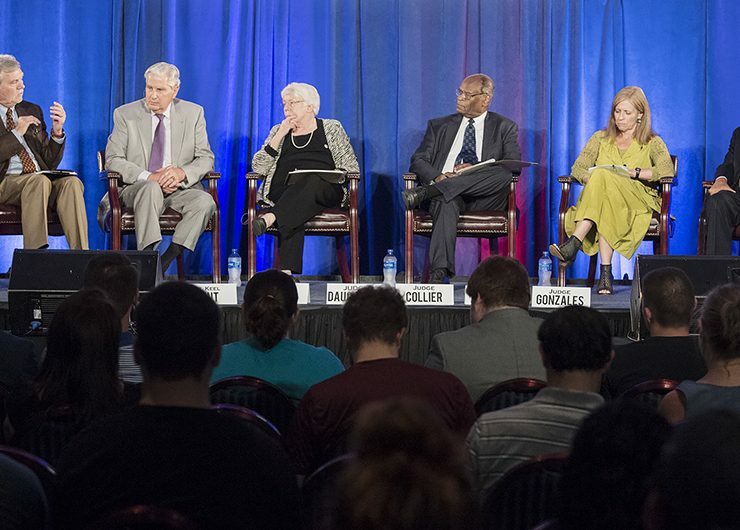 Celebrating the 227th anniversary of the U.S. Constitution took a new learning turn Sept. 17 at MTSU as special guests helped students, faculty and staff..